With Scottish Venison Day approaching on 4 September, the Scottish Venison Partnership (SVP) is forecasting that if UK market trends continue the UK will be importing more than double the amount of venison it does now in 5 years time. SVP estimates that the total annual UK venison outturn is now around 3800 tonnes, around 70 per cent of this coming from Scotland’s wild red deer cull, with other species, Scottish farmed and wild and farmed from the rest of the UK making up the difference. However, imports from New Zealand stood at around 17,000 carcase equivalents or c 900 tonnes in 2015 with additional product coming into the UK from Poland, Ireland, Spain and other European countries. Bill Bewsher, Chairman of the Scottish Venison Partnership, says: “The UK continues to import around one third of the venison that it consumes, and we export to Europe about one third of what we produce – mostly venison from roe deer and late season red from stags, although this can vary subject to fluctuations in the Euro exchange rate. The number of deer farms is increasing in the UK. 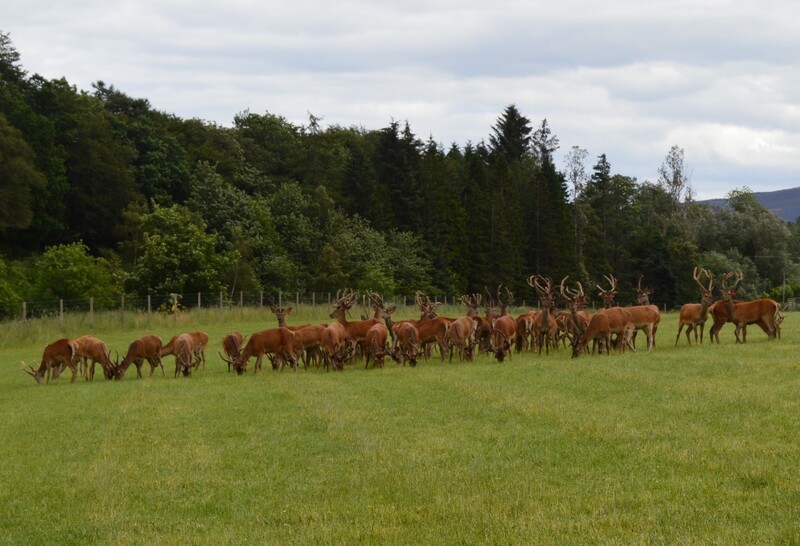 Scottish deer farmers are now also eligible for the Basic Payment, having been excluded until two years ago, and the Scottish Government has been supporting initiatives such as the Deer Farm and Park Demonstration Day Programme. Whilst there have been various claims about UK market growth, SVP estimates around a 10 per cent increase year on year, and on this basis UK consumption of venison will rise from 3800 to more than 6000 tonnes by 2021. However if domestic production only increases by 5 per cent per annum, imports will be double what they are now by 2020 to meet UK market demand and account for almost 50 per cent of UK venison consumption by 2021. Scottish Venison Day is a focal point for the Scottish Venison sector, and those who produce, stock, sell or serve Scottish venison are encouraged to raise the profile of the product at this time, although, with increasing demand and a growing market, venison is no longer seasonal in availability. A number of the bigger Scottish deer forests, important wild venison producers through the stag and hind seasons, are likely also to find themselves in the firing line to pay business rates from which they had previously been exempt since 1995, but that exemption has now been removed under the Land Reform (Scotland) Act 2016.